Sheltowee Trail near Chimney Top Rock. Red River Gorge, Kentucky, November 6, 1999. Sheltowee Trail naby Chimney Top Rock. Red River Gorge, Kentucky, November 6, 1999. Sheltowee Trail pranë oxhak Top Rock. Gryka Red River, Kentucky, 6 nëntor 1999. Sheltowee تريل بالقرب من المدخنة الأعلى الصخرة. الأحمر خانق نهر ، كنتاكي ، 6 نوفمبر 1999. Sheltowee արահետը մոտ ծխնելույզ Top Rock. Կարմիր գետի կիրճ, Կենտուկի, նոյեմբերի 6, 1999 թ.
Baca Top Rock yaxın Sheltowee Trail. Kentukki Qırmızı çayının dərəsində, 6 noyabr, 1999. Sheltowee Tximinia Top Rock gertu Trail. Red River Gorge, Kentucky, azaroaren 6, 1999. Sheltowee Трэйл ля коміна Top Rock. Чырвоная рака цясніны, штат Кентукі, 6 лістапада 1999 года. হাপর শীর্ষ রক কাছাকাছি Sheltowee লেজ. লাল নদীর ঘাট, কেনটাকি, নভেম্বর 6, 1999. Sheltowee пътека в близост до комина Най-Rock. Червената река Ерма, Кентъки, 6 ноември, 1999. Sheltowee camí a prop de la xemeneia Top Rock. Trencada del Riu Vermell, Kentucky, 6 de novembre de 1999. Sheltowee Staza u blizini dimnjaka Top Rock. Red River Gorge, Kentucky, 6. studenoga 1999. Sheltowee stezka v blízkosti komína Nejlépe Rock. Red River Gorge v Kentucky, 6. listopadu 1999. Sheltowee Trail nærheden Chimney Top Rock. Red River Gorge, Kentucky, November 6, 1999. Sheltowee Trail in de buurt van Chimney Rock Top. Red River Gorge, Kentucky, 6 november 1999. Sheltowee Trail lähedal Korsten Top Rock. 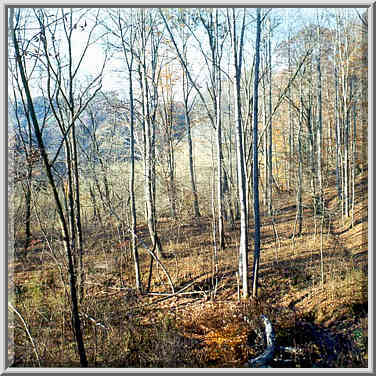 Red River Gorge, Kentucky, 6. november 1999. Sheltowee Trail malapit tsimenea Top Rock. Red River barangka, Kentucky, Nobyembre 6, 1999. Sheltowee Trail lähellä Chimney Top Rock. Red River Gorge, Kentucky 6. marraskuuta 1999. Sheltowee Trail, près de cheminée Top Rock. Gorge de la rivière Rouge, dans le Kentucky 6 Novembre 1999. Sheltowee banda preto da cheminea Top Rock. 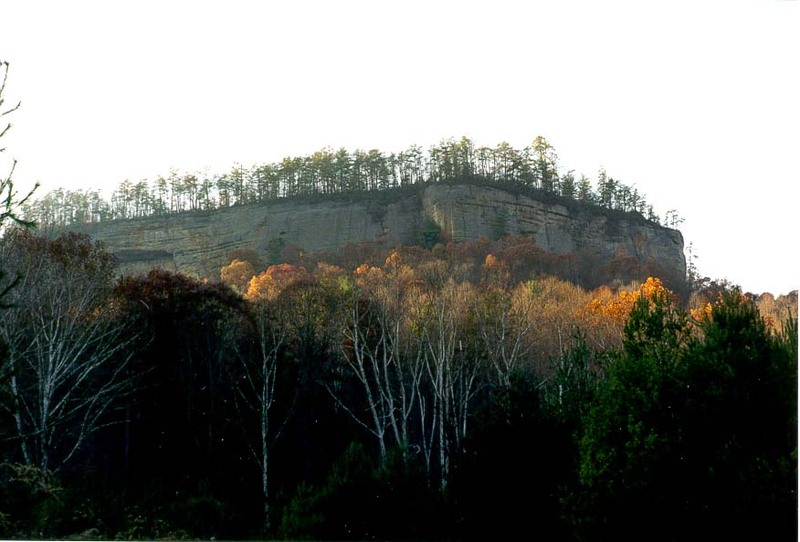 Red River Gorge, Kentucky, 06 de novembro de 1999. Sheltowee Trail ახლოს ბუხარი ყველაზე Rock. Red River ხეობაში, კენტუკის, 6 ნოემბერი 1999. Sheltowee Trail in der Nähe von Chimney Rock Top. Red River Gorge, Kentucky, 6. November 1999. ચીમની સાફ ટોચના રોક નજીક Sheltowee ટ્રાયલ. રેડ નદી ગોર્જ, કેન્ટુકી, નવેમ્બર 6, 1999. Sheltowee Trail κοντά Καμινάδα Κορυφή Rock. Κόκκινο Φαράγγι του ποταμού, Κεντάκι, 6 Νοεμβρίου του 1999. Sheltowee Trail toupre chemine Top Rock. Red River gorj, Kentucky, 6 novanm 1999. Sheltowee שביל ליד ארובת לראש הסלע. האדום נקיק נחל, קנטאקי, 6 בנובמבר, 1999. चिमनी ऊपर रॉक पास Sheltowee ट्रेल. लाल नदी कण्ठ, केंटकी, 6 नवंबर, 1999. Sheltowee Trail közelében kémény tetejére Rock. Red River Gorge, Kentucky, november 6, 1999. Sheltowee Trail nálægt Chimney Top Rock. Red River Gorge, Kentucky, 6. nóvember 1999. Sheltowee Trail dekat Cerobong Top Rock. 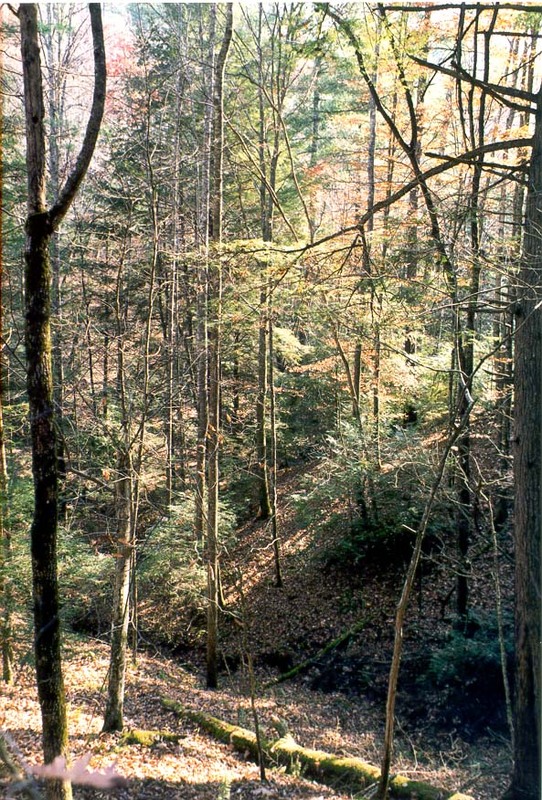 Red River Gorge, Kentucky, 6 November 1999. Sheltowee Conaire in aice Simléir Top Rock. Gorge Abhainn Rua, Kentucky, 6 Samhain, 1999. Sheltowee Trail vicino Top Chimney Rock. Red River Gorge, Kentucky, 6 novembre 1999. ಚಿಮ್ನಿ ಟಾಪ್ ರಾಕ್ ಬಳಿ Sheltowee ಟ್ರೈಲ್. ಕೆಂಪು ನದಿ ಜಾರ್ಜ್, ಕೆಂಟುಕಿ, ನವೆಂಬರ್ 6, 1999. 굴뚝 위로 바위 근처 Sheltowee 트레일. 켄터키 레드 리버 협곡, 1999년 11월 6일. Trail iuxta foramen Sheltowee Rock Top. Red River Gorge, Kentucky, November VI, MCMXCIX. Sheltowee taka pie Kamīna Top Rock. Red River Gorge, Kentucky, novembris 6, 1999. Sheltowee Trail šalia Kaminų Top Rock. Red River Gorge, Kentukis, Lapkritis 6, 1999. Sheltowee Трага во близина на оџакот Топ Рок. 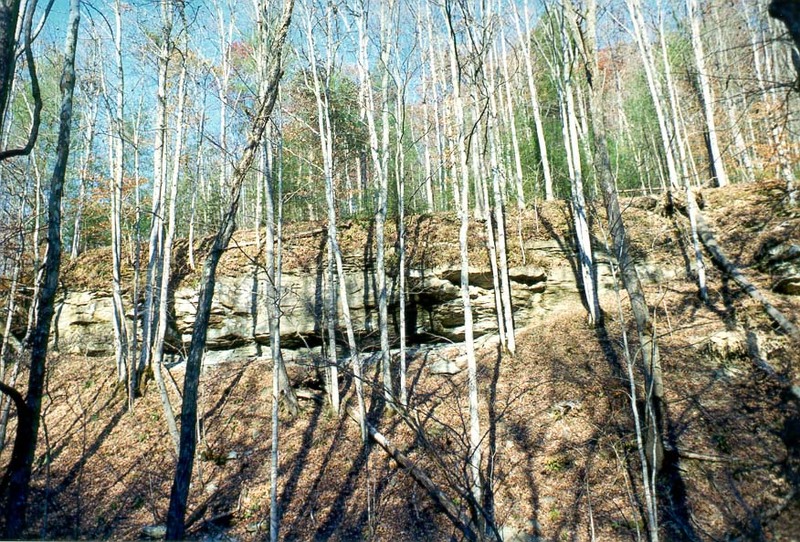 Red River Gorge, Кентаки, 6 ноември, 1999 година. Sheltowee Trail berhampiran Cerobong Top Rock. 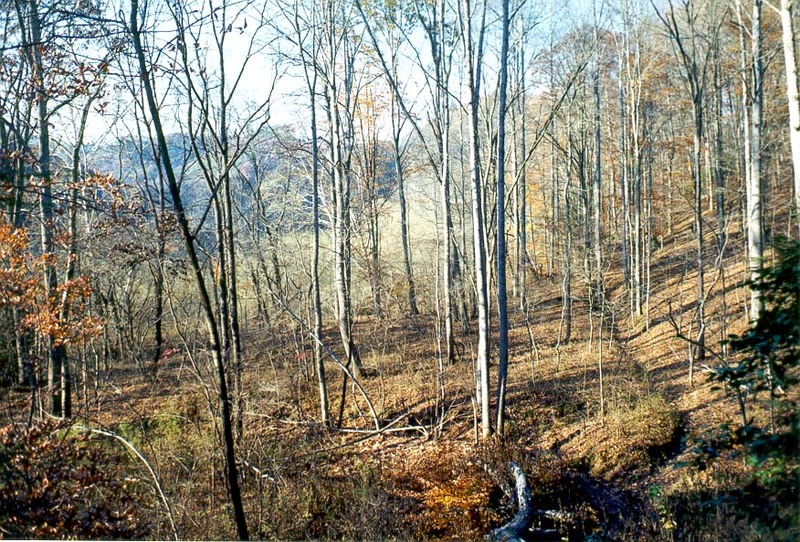 Red River Gorge, Kentucky, 6 November 1999. Sheltowee Trail qrib taċ-ċumnija Top Rock. Xmara Ħamra Gorge, Kentucky 6 Novembru, 1999. Sheltowee Trail nær Chimney Top Rock. Red River Gorge, Kentucky, 6 november 1999. دنباله Sheltowee در نزدیکی دودکش بالا راک. سرخ تنگه رودخانه ، کنتاکی نوامبر 6 ، 1999. Sheltowee Trail pobliżu komina Top Rock. 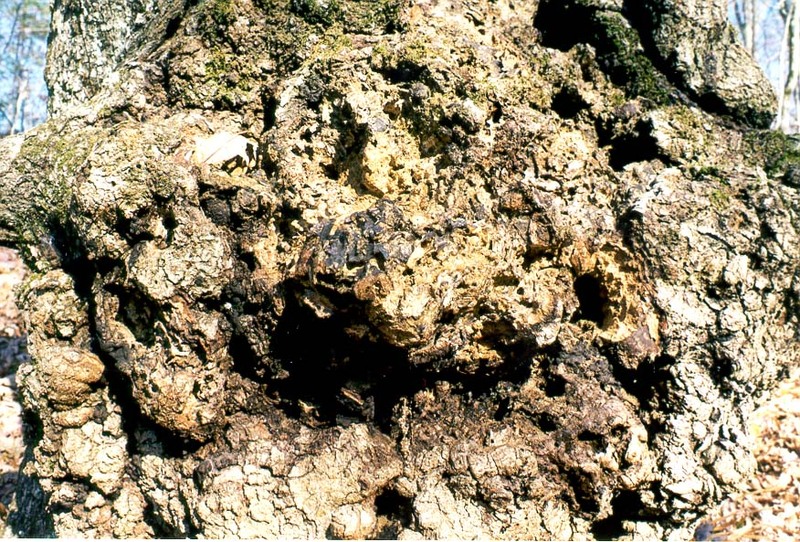 Red River Gorge, w stanie Kentucky, 6 listopada 1999 roku. Sheltowee trilha perto da chaminé Top Rock. Red River Gorge, Kentucky, 06 de novembro de 1999. Sheltowee Trail în apropierea coşului Top Rock. Red River Gorge, Kentucky, 06 noiembrie 1999. Sheltowee Трейл возле дымохода Top Rock. Красная река ущелья, штат Кентукки, 6 ноября 1999 года. Схелтовее стаза близу димњак Врх Рок. Ред Ривер клисура, Кентаки, 6. новембра, 1999. Sheltowee chodník v blízkosti komína Najvyššie Rock. 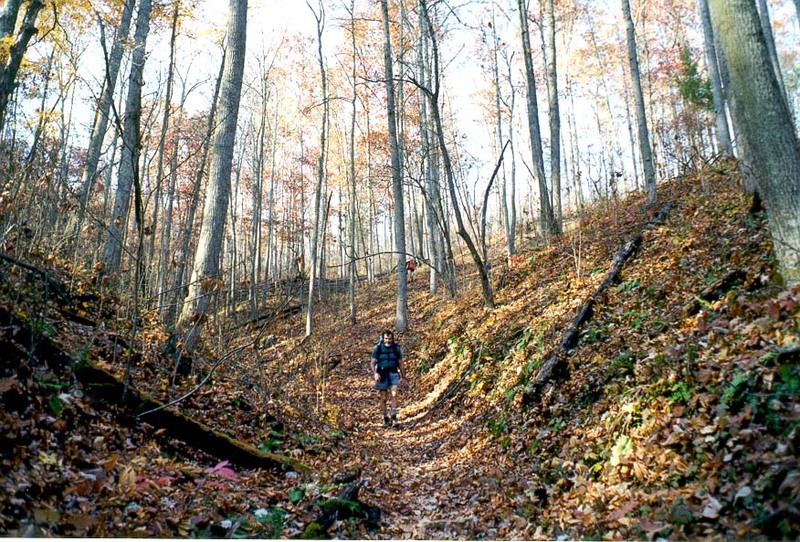 Red River Gorge v Kentucky, 6. novembra 1999. Sheltowee Trail bližini dimnika Top Rock. Red River Gorge, Kentucky 6. november 1999. Sheltowee camino cerca de la chimenea Top Rock. Quebrada del Río Rojo, Kentucky, 6 de noviembre de 1999. Sheltowee Trail karibu chimney Juu Rock. Nyekundu Mto Gorge, Kentucky, Novemba 6, 1999. Sheltowee Trail nära Chimney Top Rock. Red River Gorge, Kentucky, November 6, 1999. புகைப்போக்கி சிறந்த ராக் அருகில் Sheltowee Trail. சிவப்பு நதி ஜார்ஜ், கென்டக்கி, நவம்பர் 6, 1999. చిమ్నీ టాప్ రాక్ దగ్గర Sheltowee ట్రైల్. Red నది జార్జ్, కెంటకీ, నవంబర్ 6, 1999. Baca Top Rock yakın Sheltowee Trail. Kentucky Red River Gorge, 6 Kasım 1999. Sheltowee Трейл біля димоходу Top Rock. Червона ріка ущелини, штат Кентуккі, 6 листопада 1999 року. Sheltowee چمنی اوپر راک کے قریب پگڈنڈی. ریڈ دریا Gorge ، کینٹکی ، 6 نومبر ، 1999. Sheltowee đường mòn gần Ống khói Top Rock. Red River Gorge, Kentucky, 6 tháng 11 năm 1999. Sheltowee Llwybr ger Simnai Top Rock. Ceunant Afon Goch, Kentucky, 6 Tachwedd, 1999. שעלטאָוועע טרייל לעבן טשימניי Top ראַק. רעד טייך גאָרגע, קאַנטאַקי, 6 נאוועמבער 1999.